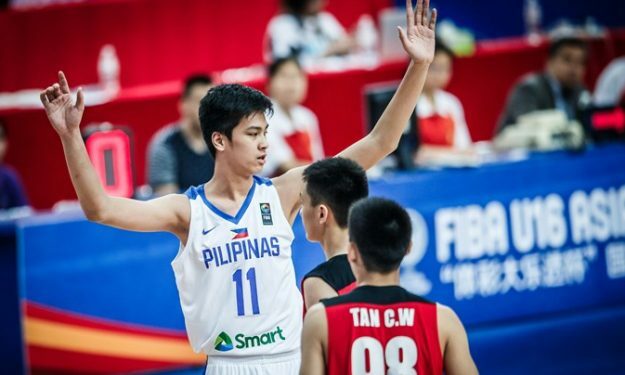 Kai Sotto and his family revealed in a press conference that they were scheduled to leave on April 1st for the United States, where the 7-foot-2 center will undergo two months of rigorous training in Atlanta. The training camp would aim to bulk up and strengthen Sotto’s still developing body, in preparation for the upcoming FIBA Under-19 World Cup in Greece this June. After that tournament, Sotto said that he will shift his attention on picking the right European club that will hone his skills and expose him to top-level competition over the next few years. The endgame of the maybe too ambitious plan for him is to be ripe enough for the 2021 or 2022 NBA Draft. Raymond Townsend, who played for the Golden State Warriors in the 80s, was the first player with Philippine heritage to play in the NBA. Cleveland Cavaliers guard Jordan Clarkson also traces his roots from the Philippines via his mother. However, there hasn’t been a homegrown Filpino player ever drafted in the NBA. Sotto hopes to be the first one in a not so distant future. For most NBA hopefuls, the traditional route is to play in the NCAA and then enter in the NBA Draft. However, over the past two decades, many international prospects have managed to emerge by spending the first few years of their basketball development in Europe. Dirk Nowitzki, Pau Gasol, Marc Gasol, Ricky Rubio, Rudy Gobert, Kristaps Porzingis, Jonah Bolden, Dario Saric and lately teen phenom Luka Doncic. The list could go on and on, but one thing sinks in: Europe and especially EuroLeague has now become an alternative pathway to the NBA for non-US prospects. Sotto first caught the attention of various scouts at the FIBA U16 Asian Championship last year. He was named the MVP of the tournament, averaging 16.8 points, 13.5 rebounds and 2.5 blocks per game. He continued his strong play at the FIBA U17 World Cup, where he chalked up 16.4 points and 10.6 rebounds per game against world-class competition. Draft expert Jonathan Givony of ESPN also recognized Sotto’s NBA-level physical tools. Though he noticed that he’s still raw and might need to hold his horses. Playing a better competition outside the Philippines to fully develop, might help his ultimate goal. “First live look at much-hyped 7’1 16-year old Kai Sotto from the Philippines. Easy to see the talent, but also how far he has to go in terms of toughness, intensity, strength and polish. Hasn’t had a great tournament so far. Will have to find the right place to develop long term,” Givony stated on Twitter. Sotto’s camp feels that European teams can provide him the opportunity to grow at his own pace – something he probably won’t get from any college teams in the US NCAA. His father, Ervin Sotto, a former professional basketball player in the Philippines, also thinks Europe is the best place for Kai’s development, based on his skills-set and style of play. “He won’t be like Zion Williamson, you know? He can’t become like (ed.note: Filipino prospect) Kobe Paras who’s really athletic. He’s not like that,” the elder Sotto said. The elder Sotto stated that they received offers from at least five European clubs, including powerhouses Real Madrid and Barcelona. NCAA powerhouses like the Gonzaga Bulldogs and the Texas Longhorns have also expressed interest in the past months, but Sotto appears adamant in taking the European route to the NBA.